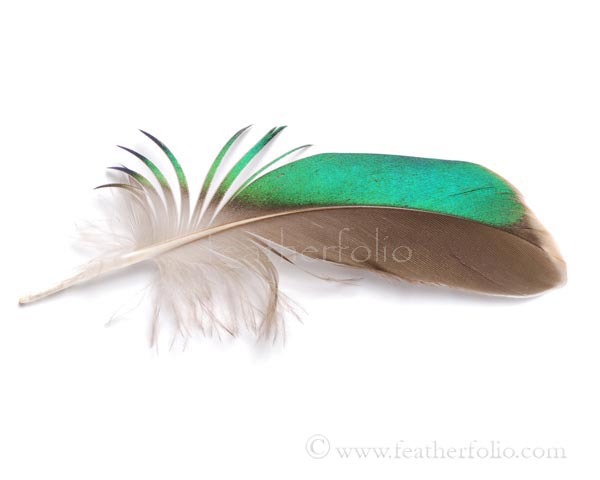 When I use a feather by itself, divorced from the bird, the feather can be a reminder of the bird that wore it. Art does the same thing—it can describe something, say a bird. But the art is not the bird—it’s an abstraction. Civilization seems to be a process of increasing abstraction, breaking things down into their component parts and reassembling them to suit our needs. Like writing for instance, breaking down sounds into pictures, then syllables, then just individual sounds or letters. And then reassembling them to make meaning and communicate. So then we see the world in the way we describe it—by forming these letters into words and into full thoughts. Feathers though are real in themselves and only one step away from the real bird. So I hope that my work with feathers can be more of a direct connection with the world, a little different and refreshing angle from which to observe the realm.